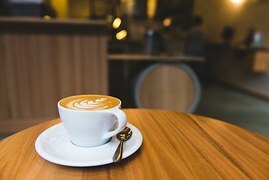 Meeting for Coffee – The right way to start the selling process. Meeting for coffee is quick and easy and low pressure. It can be for 10 minutes or an hour - however, the conversation flows. You can be undecided and just be gathering info to help yourself make an informed decision later, or you can be ready to go. It's all about what's best for you. Dave's views on the key to long-term success in real estate. The lifeblood of being successful in real estate for the long run is repeat and referral business which comes from truly being helpful. You were the fifth realtor who tried to sell our home - and the only one who succeeded. I was of course happy to have the house sell so quickly, and I truly appreciated your support and attention to detail.